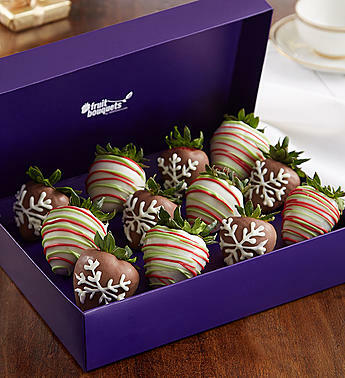 Treat someone you love to the berry best of holiday cheer! 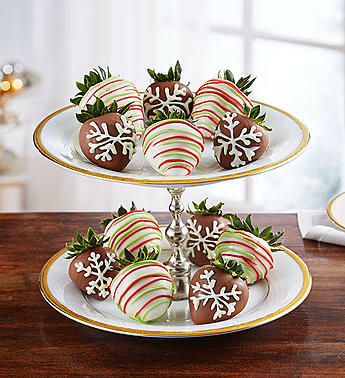 This delectable assortment includes 6 white chocolaty confection hand-dipped strawberries with green & red garland confection, and 6 hand-dipped milk chocolatey confection strawberries each decorated with a snowflake as unique as the person receiving them. 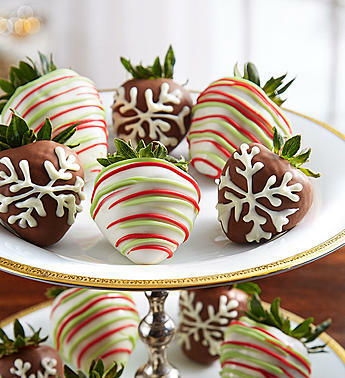 The perfect treat for anyone on your naughty or nice list.